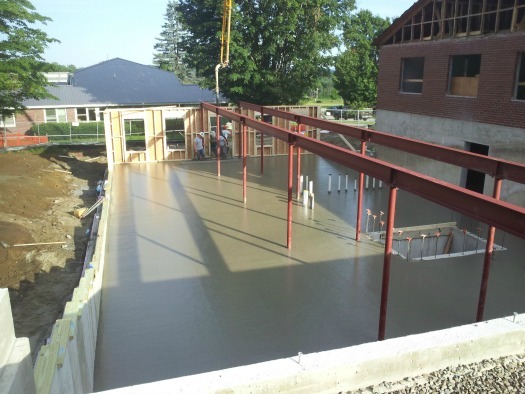 Day's concrete floors, Inc. has been installing the best quality concrete flooring for residential and commercial customers since 1985. 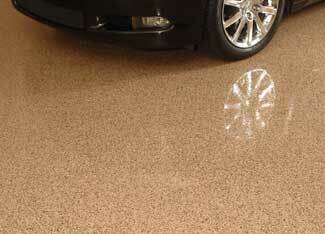 We take great pride in our work when we place and finish a concrete floor. 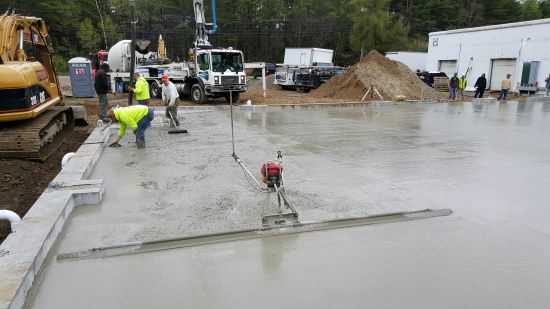 Whether it's a basement floor, garage floor, or a concrete floor for some type of business, we have a proven track record for getting the concrete floor done right. 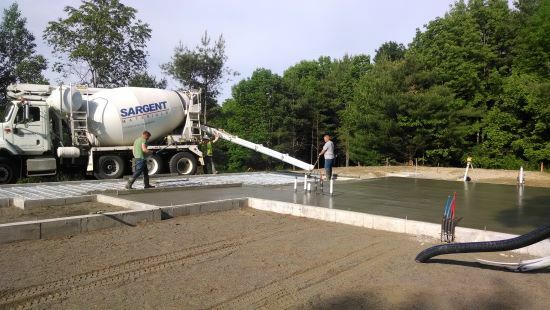 Here we are installing a concrete floor in Gardiner, Maine for E.J. 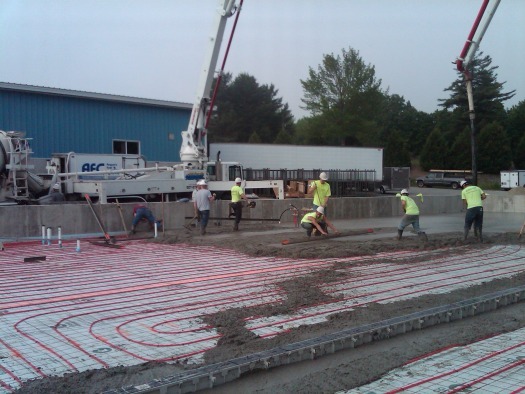 Prescott, Inc. Notice this one has radiant heat flooring and a trench drain. 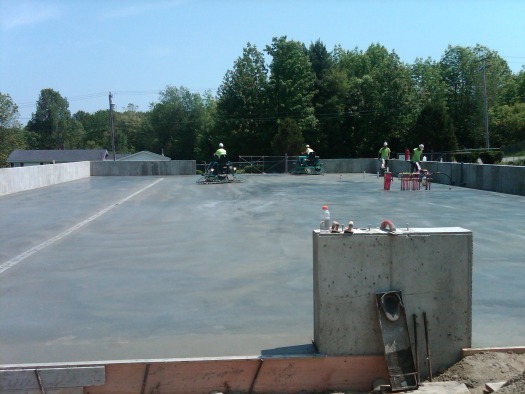 As you can see in the picture, we're using a pump truck to place the concrete right where we want it. 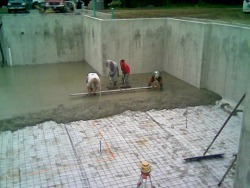 Below, we are power troweling the concrete to give it a nice smooth finish. 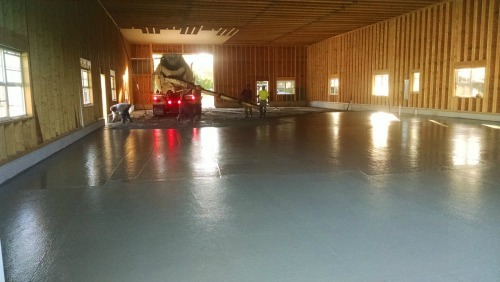 Power troweling a concrete floor to a nice smooth finish takes a lot of skill and experience. This floor was 5000 sq. ft., it was also 6" thick and took about 100 yards of concrete. 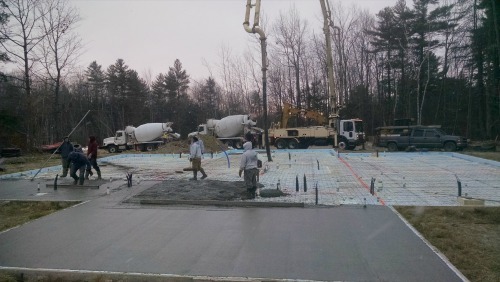 This is a common concrete floor in Maine. 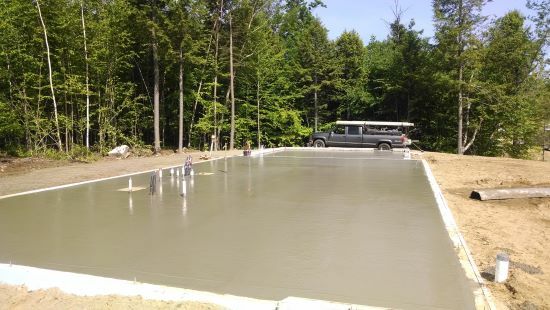 This new home has 8' high concrete walls and there we are installing the basement floor. 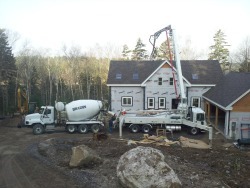 We had to use a concrete pump truck to pour the concrete floor for this new home near Augusta, Maine. 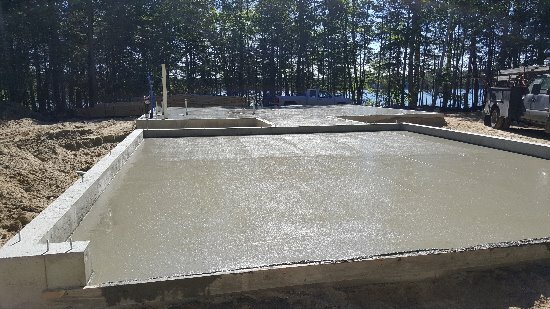 You can watch us pour a concrete floor in this video!! If you would like an estimate, please use our request an estimate form or give us a call at 207 592-5171.